*Is the regulatory tide turning against big clusters and consolidation? A proposed Clear Channel purchase in MAINE is one of three deals facing a level of scrutiny the FCC hasn't employed in decades. So the FCC has designated the WHQO/WSKW sale, along with a Clear Channel purchase in Youngstown, Ohio (WNIO 1390, WAKZ 95.9 Sharpsville PA, WICT 95.1 Grove City PA, WBBG 106.1 Niles OH) and another one in Killeen-Temple, Texas, for a hearing on market concentration. Stay tuned as the Commission sets what promises to be a new precedent for acceptable levels of station revenue and ratings share...we'll keep you posted. *More news from the Pine Tree State: the NFL champion New England Patriots will make the move to FM in the Portland market this fall. Previously heard on Saga's WZAN (970 Portland), the Super Bowl winners will move to Citadel's WBLM (102.9 Portland). Down the coast, the team moves from WGIR simulcasts WGIN/WGIP (930 Rochester/1540 Exeter) to Citadel's "Shark" WSHK (105.3 Kittery ME)/WSAK (102.1 Hampton NH). 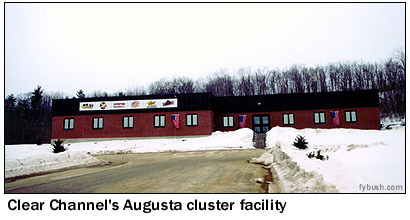 *Heading into NEW HAMPSHIRE, all the news comes from Cheshire County, where Saga formally applies for WKVT-FM1 in Keene. 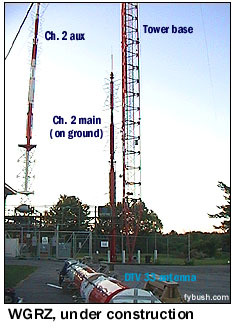 The on-channel booster of WKVT-FM (92.7 Brattleboro VT) would run a 250-watt directional signal from the studio/transmitter site of sister station WKNE (1290) in Keene. *Two MASSACHUSETTS PDs lost their jobs last week, both at Entercom stations in the Boston market. Jeff Scott, who came to "Star" WQSX (93.7 Lawrence) just this past April, was out the door last Monday, followed shortly by Dave Douglas, who'd helmed WAAF (107.3 Worcester) for several years. Douglas will be replaced by Keith Hastings, inbound from Saga active rocker WLZR in Milwaukee; no replacement has been named yet for Scott. Oops: You won't see home-shopping WWDP (Channel 46) on EchoStar's DISH Network any time soon. The station accidentally sent its must-carry request for EchoStar to competitor DirecTV instead, thus missing the deadline to elect mandatory carriage on the satellite system - and this week the FCC upheld EchoStar's rejection of WWDP's appeal. *A surprise call change in RHODE ISLAND, as Hall flips WWRI (1450 West Warwick) to WLKW. The change came just a few days after NERW mused that the WLKW calls would make a good fit to replace the tainted WALE on the just-sold 990 facility in the market; suppose Hall was listening? *A former CONNECTICUT TV reporter is heading back to the Nutmeg State. Lisa Carberg was at NBC's WVIT (Channel 30) in New Britain from 1995-1999, leaving to join the Fox News Channel. Now she's returning to WVIT to handle health and feature segments. *The NEW YORK TV dial continues to return to normalcy as the one-year anniversary of September 11 approaches. The latest station to return to full power after losing its World Trade Center transmitter is Telemundo's WNJU (Channel 47), licensed to Linden, N.J.
On the English side of the NBC family in New York, WNBC (Channel 4) is saying goodbye to president and GM Dennis Swanson, who's retiring after a long career that included ABC Sports and six years at the helm of top-rated channel 4. Replacing Swanson is Frank Comerford, VP of sales and marketing for the NBC stations group. And while our friend Dave Hughes down at Washington's DCRTV.com enjoys busting the Washington Post for its inaccurate radio listings, there's at least one way in which the D&C is the Post's equal (and only one way, come to think of it): the radio listings in the Sunday TV book are so woefully out of date that at least a third of them are completely inaccurate. Hmmph! *One NEW JERSEY item this week, and we have to go all the way to Indiana for it: Auricle Communications, parent of WFMU (91.1 East Orange), is selling WAJW (89.5 Chesterton IN) to Chicago's public broadcaster WBEZ (91.5). Auricle put WAJW on the air a few years ago with the intent of creating a freeform radio voice for Chicago similar to the service WFMU provides to New York and vicinity - but the station, on the southern shore of Lake Michigan, was too far from the Windy City to put in a reliable signal. 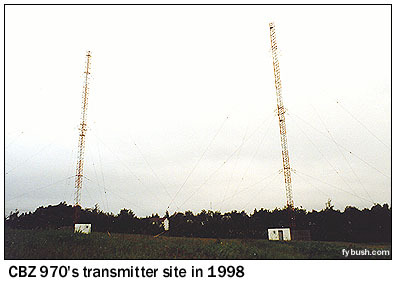 *In PENNSYLVANIA, VHF television may finally come to the Lehigh Valley, almost five decades after the area's first UHF station signed on. Religious WBPH (Channel 60) has applied to change its DTV allocation from channel 59 to channel 9; without the change, WBPH's analog and digital channels would both be "out of core" and the station would have to seek a brand-new channel assignment when 52-69 are removed from TV service. WBPH also applied for a license to cover this week for a power increase that takes the station up to nearly 3 megawatts of visual power. *The big news from CANADA comes from Toronto, where the CRTC released the applications it's received for new ethnic stations to serve the nation's largest city. *Finally this week, we're happy to announce that our good friends at M Street have released the 11th edition of the M Street Radio Directory. With the disappearance of the old Vane Jones log and the declining accuracy of the Broadcasting Yearbook, the M Street directory is widely regarded as the most accurate, most comprehensive source of information on the US and Canadian radio scene - and we're thrilled to be able to offer it to you at a substantial discount! The directory includes power, frequency, ownership, key personnel, formats, ratings and much more information for every radio station in the U.S. and Canada, and now runs almost 900 pages in an 8.5" x 11" softcover book. List price is $79 (plus $7 shipping/handling), but if you order through fybush.com/NorthEast Radio Watch, you can get this invaluable resource on your shelf for $69 (plus $7 s/h) - a $10 savings! 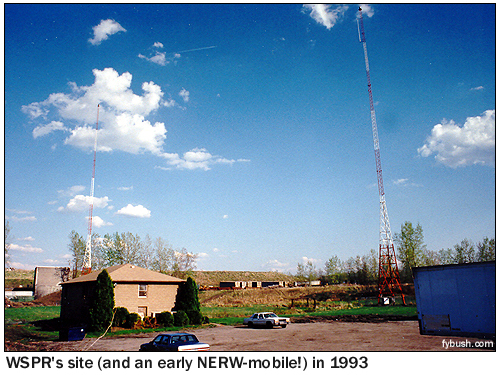 And your purchase benefits the continued publication of NERW and Tower Site of the Week, so everybody wins! Stay tuned - ordering details will be made available later this week right here on fybush.com. *We'll see you next Monday with much more...stay tuned! NorthEast Radio Watch is made possible by the generous contributions of our regular readers. If you enjoy NERW, please click here to learn how you can help make continued publication possible. NERW is copyright 2002 by Scott Fybush.